Although keeping your horses tick-free can be difficult, it's certainly not impossible. 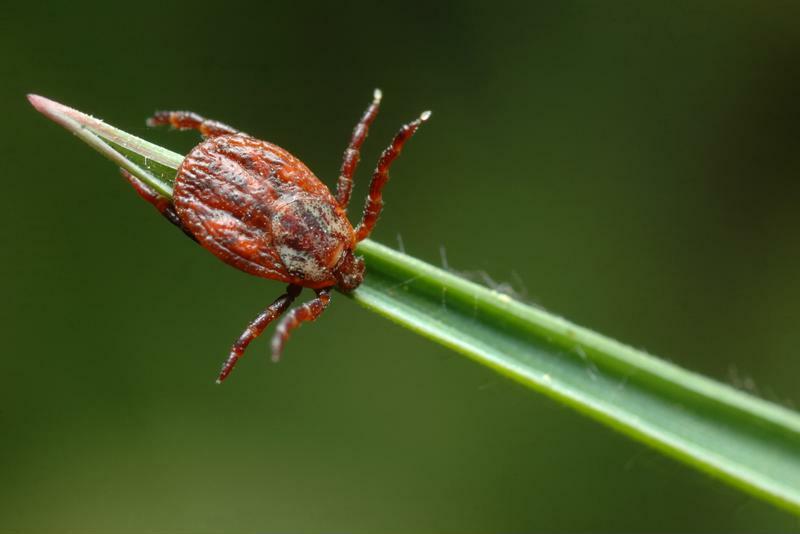 As an animal owner, you're likely familiar with ticks. These pesky, hard-to-see bugs are known to carry diseases, and love burrowing into the fur of unsuspecting hosts. According to The Horse, ticks become most active in warm weather, which means that from late spring to early fall, your four-legged friends are at risk for being bitten and infected by these parasites. Although keeping your horses tick-free can be difficult, it's certainly not impossible. Read on to discover helpful information about equine ticks, and learn how you can keep your horses happy and healthy all summer long. What type of ticks could bite my horses? There are many different species of ticks spread around the entire globe. Determining which specimens your horses are at risk for running into largely depends on where you live. Winter ticks, also referred to as moose ticks, are common throughout the U.S., and are known to latch onto horses. Tropical horse ticks, which are native to the southern part of the U.S., are also notorious for choosing equine hosts. Dog and deer ticks, named for their preferred victims, will also jump onto horses if no dogs or deer are around. Ticks can burrow into almost every part of a horse's body, including the ears, abdomen, legs, head and tail. Despite their similar taste in animals, the different types of equine ticks vary in appearance. While the winter/moose tick is brown and oblong, the tropical horse tick can be dark black and round. Deer ticks are extremely tiny and shaped like tear-drops, and dog ticks can be solid brown or brown with gray markings. Ticks can cause health issues in horses – here's how to keep your animals safe. What diseases can ticks transmit to my horses? Like they do with humans, dogs and other mammals, ticks have the ability to transmit serious diseases to horses. According to the University of Minnesota, the two most common tick-induced illnesses found in horses are Lyme Disease and Anaplasmosis. When a tick is carrying a bacteria known as Borrelia burgdorferi, it can infect its host with Lyme disease. This illness has a reputation for manifesting itself mysteriously in humans, and it's no different when it comes to horses. While symptoms like stiff joints, exhaustion, kidney issues and a lack of coordination can be tell-tale signs of Lyme, they are also common signs of other medical issues. Many infected animals show little or no signs of the disease at all. If you find ticks on your horses or suspect they may have been bitten by Lyme-carrying parasites, have a veterinarian conduct an examination and do a blood test. The University of Minnesota noted that vets typically perform two blood tests a few weeks apart, as this allows them to check for discrepancies in anti-Borrelia antibody levels, which can lead to a more certain diagnosis. If your horses are found to be infected, they will usually be prescribed a course of antibiotics. Fortunately, most horses are able to escape unscathed from Borrelia burgdorferi-carrying ticks, as they're far less likely than humans or dogs to sustain a long-term illness due to Lyme. When horses do fall ill due to Lyme, they may not show signs of disease until a few months after they've been bitten. In addition to reviewing these symptoms, veterinarians can confirm the presence of Anaplasmosis through blood tests and white blood cell smears. These tests can be inconclusive depending on when they're performed in relation to when the horse was infected, however, so most vets prescribe antibiotics based on time of year and physical signs, noted The Horse. How can I protect my four-legged friends? Talk to your vet: Your horse's doctor is going to be your best tick-fighting resource. He or she will know the specific dangers facing horses in your area, and can offer you specific, targeted advice on what you're dealing with. Your vet may also recommended tick-prevention products, which can add another layer of protection. Keep your horses away from wooded areas: Ticks thrive in tall grass and heavily wooded areas, which means the further away from pasture your horses veer, the more likely they are to come in contact with unwanted parasites. As such, maintaining a spacious, sunny area with minimal vegetation is an important part of combating ticks. Don't let your horses wander into thick brush, and always keep their land well-mowed. Ticks can also hide in lumber, so make sure any wood stockpiles you may have are kept at a safe distance from your equestrian area. Let chickens and guinea hens help you out: If you have space on your property, consider getting some chickens or guinea hens, recommended Horse Journal. These animals are not only unfazed by ticks – they actually consider them quite a yummy meal. Just as cats tend to scare away mice, these birds are known for their tick-eradicating properties. Nip ticks in the bud: If you happen to notice a tick on your horse, act quickly – but don't panic. Using tweezers, simply grab the tick towards its head and pull directly away from your horse's body. Don't move too quickly or apply too much pressure, as this could scare your horse and cause the tick to burrow in or attach itself to a different spot.